This "rice" made from chopped cauliflower will boost your entrees with fiber and nutritional value and leave you more satisfied after any meal than white rice would. If you haven't tried making the cauliflower switch, this is the recipe to try out your first time. This cauliflower rice tastes very mild, but the beauty of a plain rice recipe is you can make it your own. See below for suggestions. Process fresh cauliflower until it is the size of rice, either using the plain steel blade of your food processor or the shredder blade. Alternatively, you can shred it with a hand-held grater, or even use a knife if you have the dexterity to chop it up finely. Sauté the rice with a tablespoon or so of olive oil over high heat. Feel free to jazz up your dish with spices, herbs, cheese, and whatever else suits your fancy. There are alternative methods for preparing cauliflower ice, other than sauteeing. Try the roasted version of cauliflower rice. This is by far the easiest method as you just spread the processed cauliflower evenly on a baking sheet, drizzle olive oil across the top, and place in a 400F oven for 12 minutes for an easy healthy rice option. You can also use the microwave. Microwave the rice in a covered dish for 3 to 5 minutes. Do not add water or oil. Cauliflower absorbs water and the "granules" will become gummy. To keep it fluffy, just let the moisture in the cauliflower do its work. This method results in a more mild flavor. 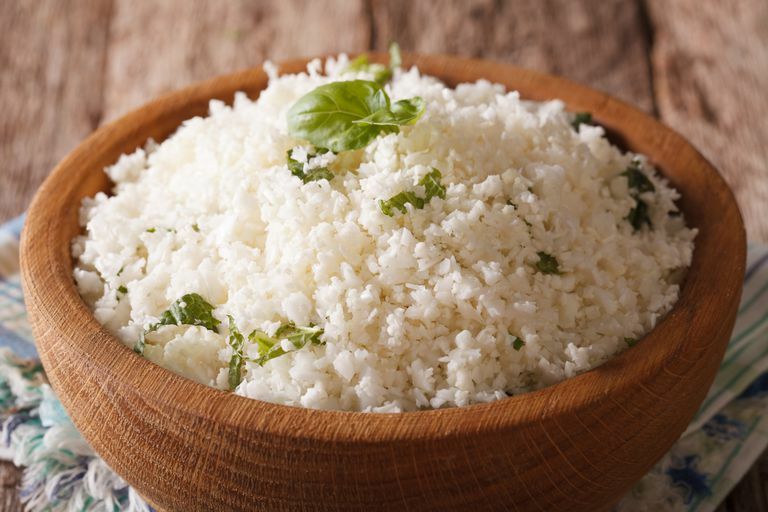 The finished cauliflower rice can be used under a sauce, such as a curry, or as the base for a dish such as fried "rice" or a "rice" salad likened to potato salad. So you know, it does not work well as a substitute for rice in casseroles where the rice is supposed to absorb the liquid.